"By one of the Botany Bay ships we learn that Omai is dead and also two of his companions, the two New Zealand youths Taiverharroa and Kokoa..."
This small item was reported in the Belfast News Letter of 10 June 1789 and brought to the Ulster public's notice the prospect of communication with the indigenous peoples of New Zealand. It was not for another 50 years, however, that a letter dated 1 October 1840 records one of the earliest cases of migration from Ulster to New Zealand. Ann McCleland had clearly run away from home to New Zealand, via Liverpool, some time before the letter from her mother caught up with her in her new world. This article looks at the value of correspondence to and from Ulster Emigrants in its relation of some of the circumstances of the migration to New Zealand. 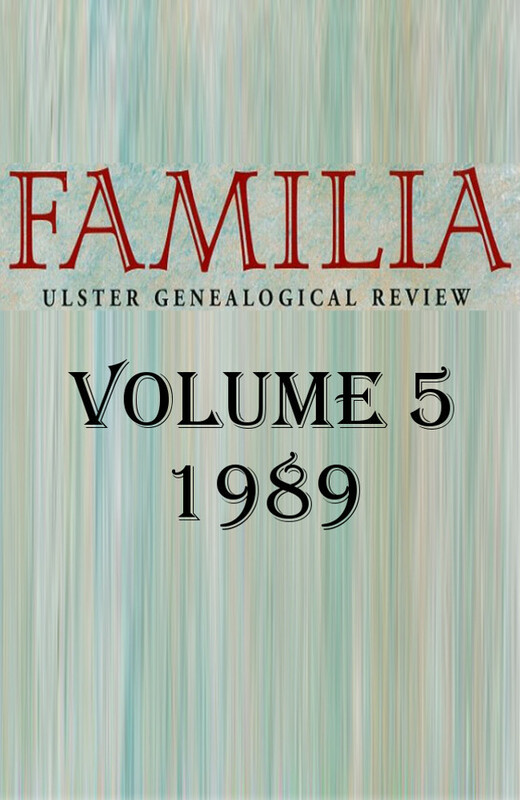 Trevor Parkhill is editor of Familia: Ulster Genealogical Review and recently retired as Keeper of History, Ulster Museum, National Museums Northern Ireland.